By Nicola Kirwan | February 15, 2014. 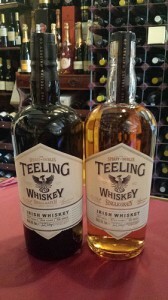 Teelings Whiskey is to open a distillery in Newmarket Square in the Liberties this year. The new distillery, according to an Irish Times report will cost €10 million and it is hoped that it will bring at least 30 new jobs to the area. The distillery is expected to be opened in December this year, and the visitors centre is to open in 2015. The company also expect that the new distillery will bring between 40,000 and 50,000 visitors in the first year alone, with up to 100,000 visitors in the years after. This is a major boost for the area as it is a rare major investment in the Liberties. Eric Byrne, Labour TD said; “I think it will prove very attractive to tourists. It should also help to attract more businesses into the area, which can only be a positive”. The company hope to use three copper pot stills in order to keep with the traditional style of old Dublin. It will be the first distillery open in the city in over 100 years, after the closure of the last of 37 of them in 1976. The new distillery will have the capacity to create around 500,000 litres of whiskey per year.